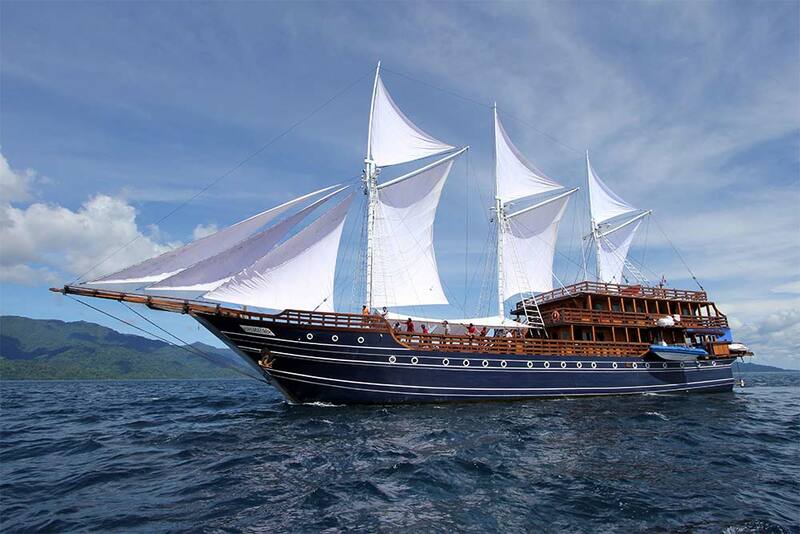 MSV Amira is a large and luxurious diving yacht which sails around all of the best diving sites of Indonesia. The boat has a very classic design, but is actually just a few years old, after it was launched in December 2010. 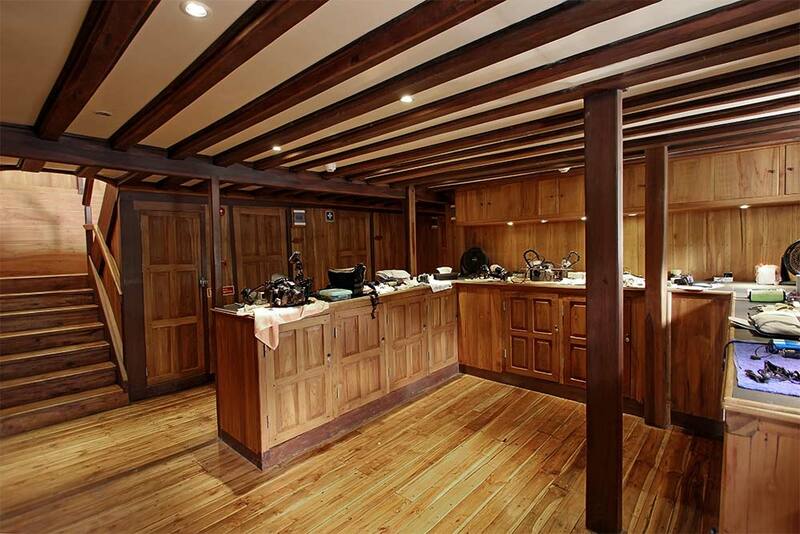 Every year, Amira has a two-month refit to ensure that everything is perfect for discerning guests. 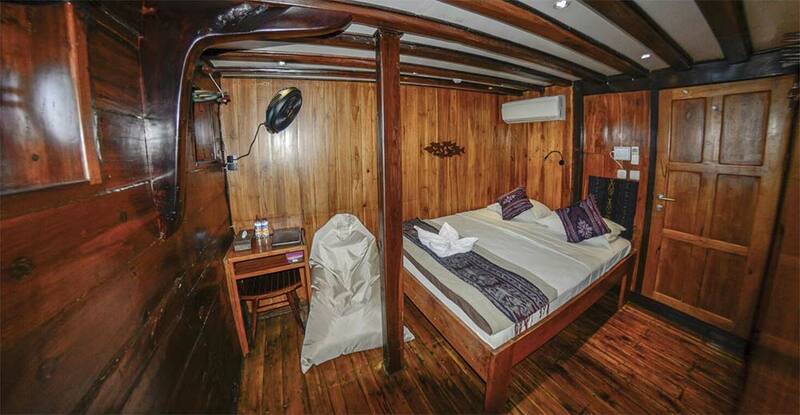 There are nine cabins, which can be double or twin beds, and a large single cabin for solo divers. 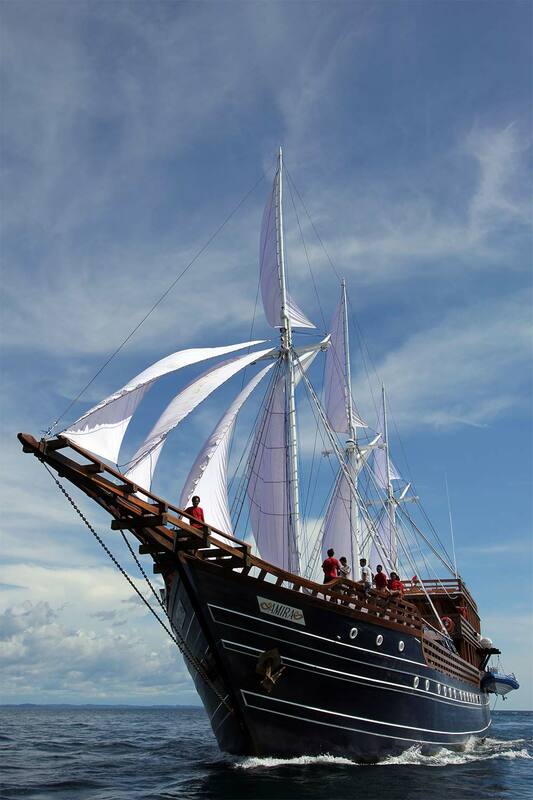 Trips are always at the best diving location in Indonesia at the particular time of year, and therefore often sold out months in advance. 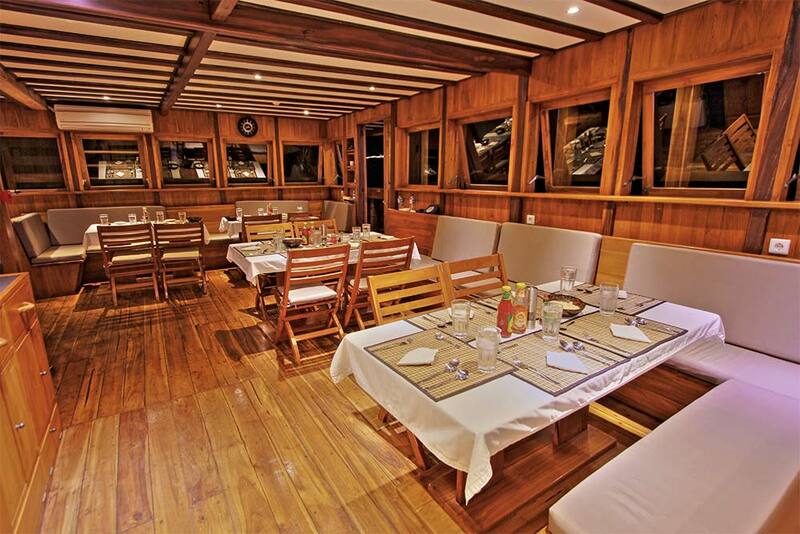 It is a wonderful boat, run by wonderful people, and each trip is exciting, relaxing, comfortable & safe. 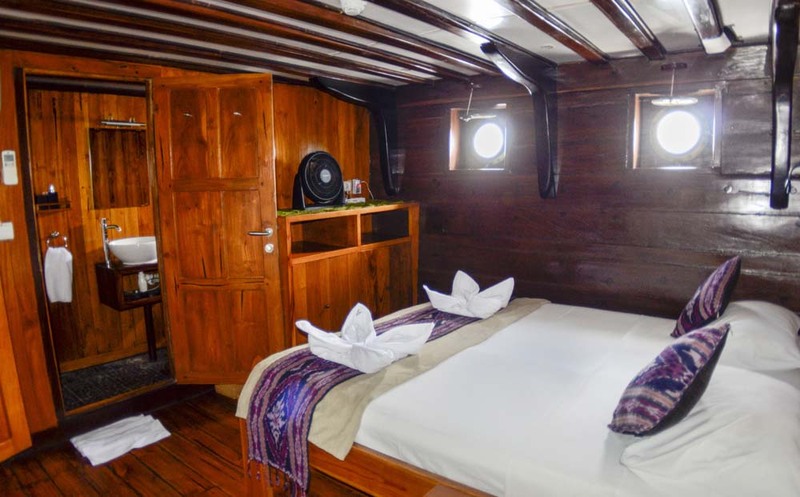 Starting with the boat’s inception, MSV Amira was designed and built by an extremely experienced team of shipbuilders in Bira, southern Sulawesi – the home of Phinisi schooners for centuries. 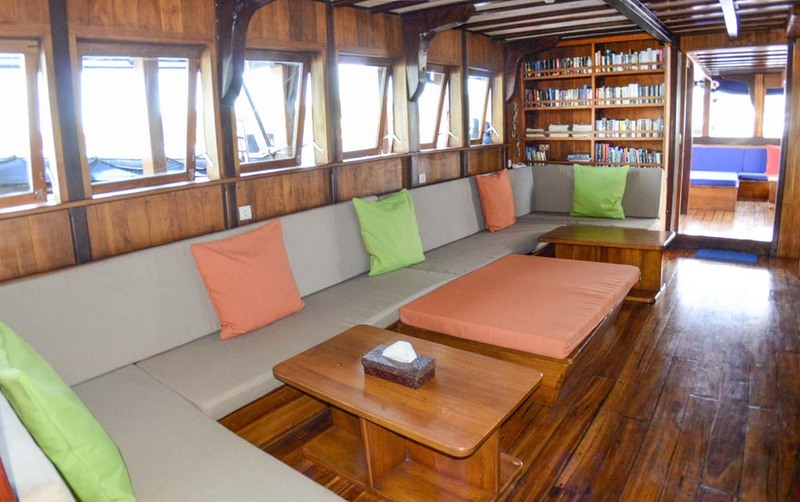 With European ideas to ensure the best experience on board and local craftsmanship, MSV Amira was built using the finest woods (mainly Ulin ironwood) and using teak for the interior. 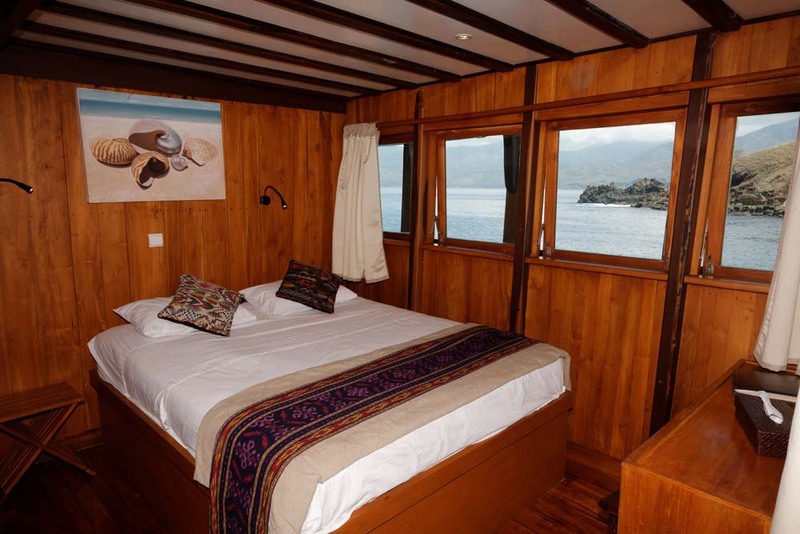 The cabins and communal areas are well designed and thought out to ensure that guests enjoy the best luxury and practicality, while being pampered by the staff and crew. The meals, snacks & fruits served to Amira guests are all delicious & fresh, and consist of local, Asian and western cuisine. 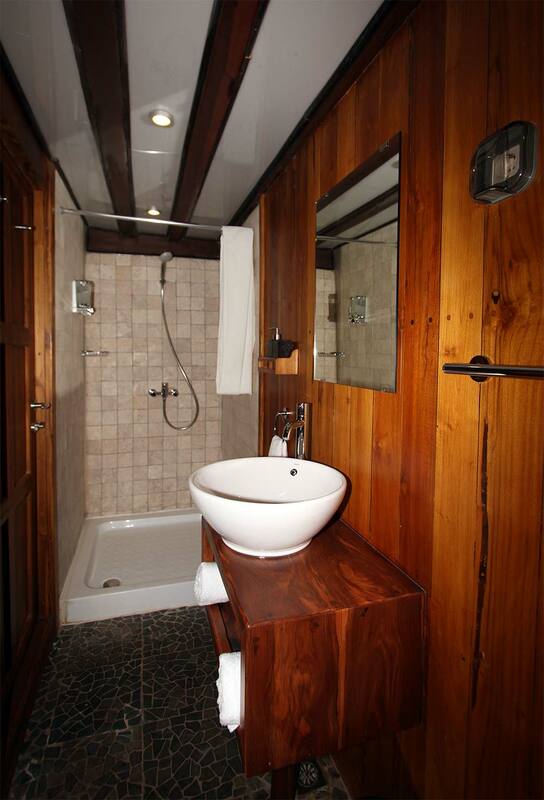 Amira’s ten cabins are large, fully air conditioned, and have private en suite bathrooms with hot & cold freshwater showers, western toilets, mini-safe & fan. 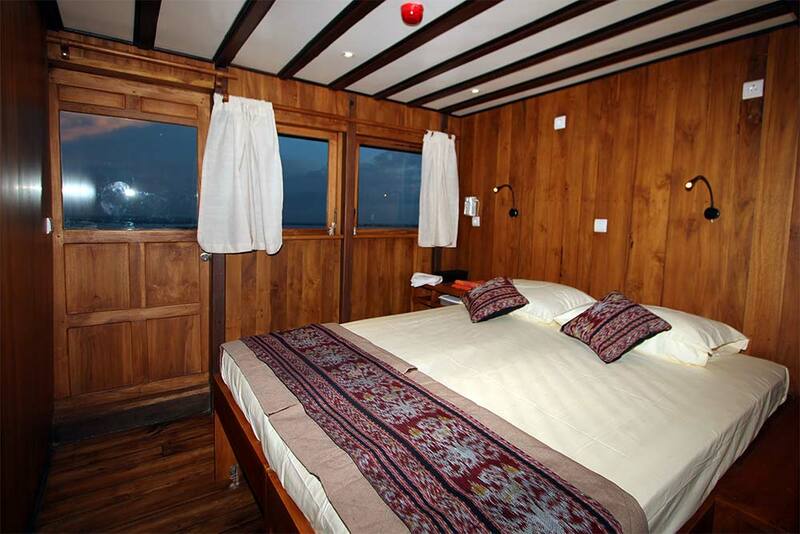 Four double & twin cabins are on the boat’s upper deck and the rest are on the lower deck. 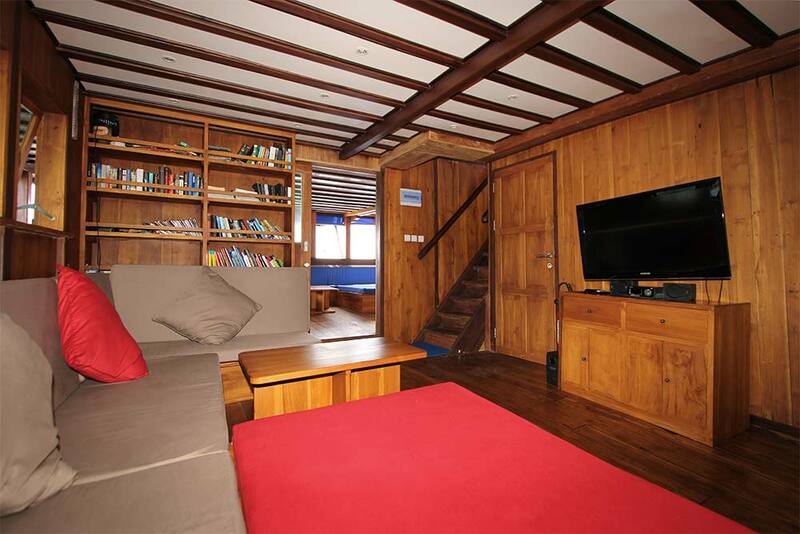 In the lower deck there is a single, twin, and double cabins, including one with space for an extra bed. 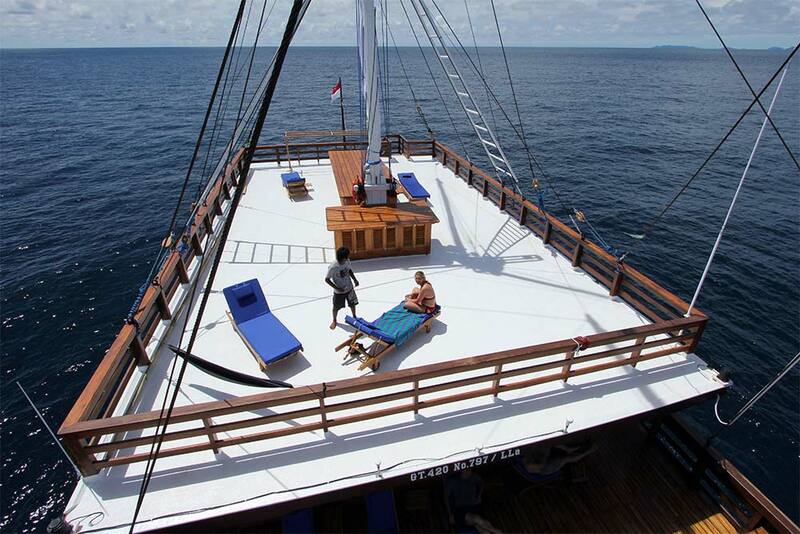 No more than 19 guests join scheduled trips, but there is capacity for up to 20 only on full charters. 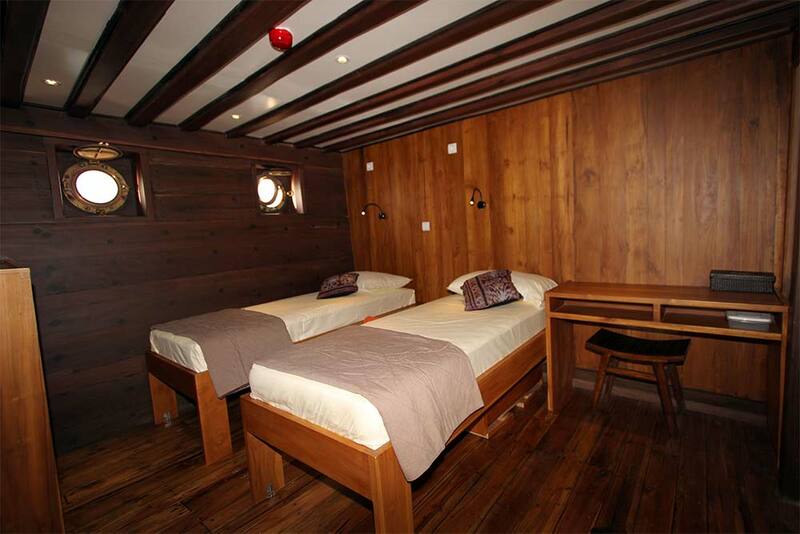 All but one of the double cabins can be used as a twin, with two separate beds. 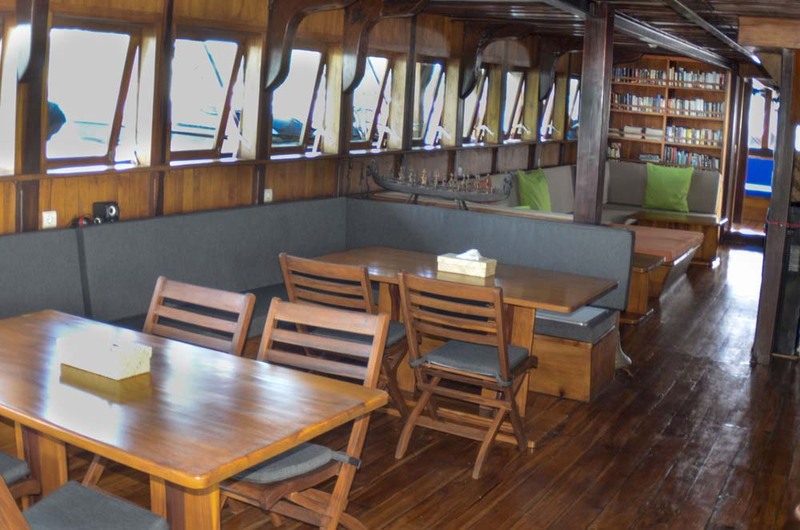 On Amira’s main deck there is a large indoor air-conditioned dining room & tv lounge, with more than enough room for a full boat of guests. 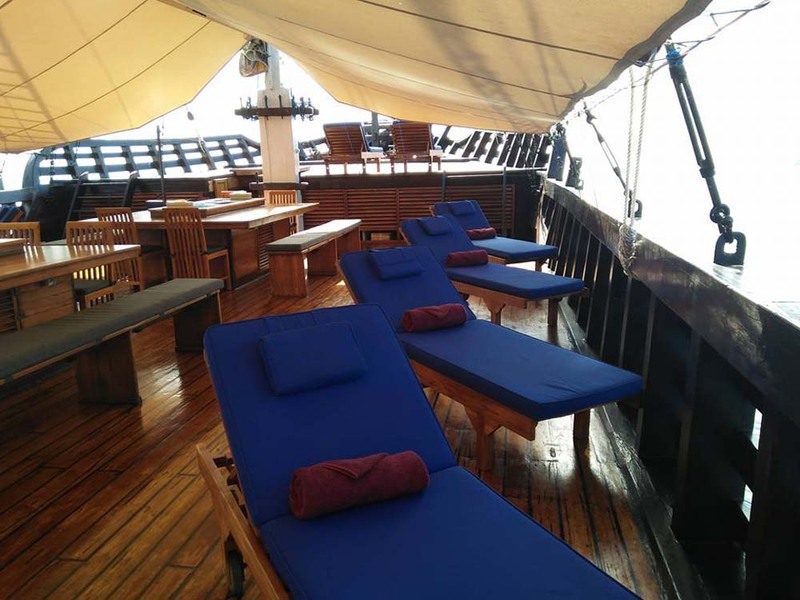 You can relax and soak up the sun or gaze at the stars on the large (120m²) sundeck, or just enjoy the sea breeze in the shade elsewhere. 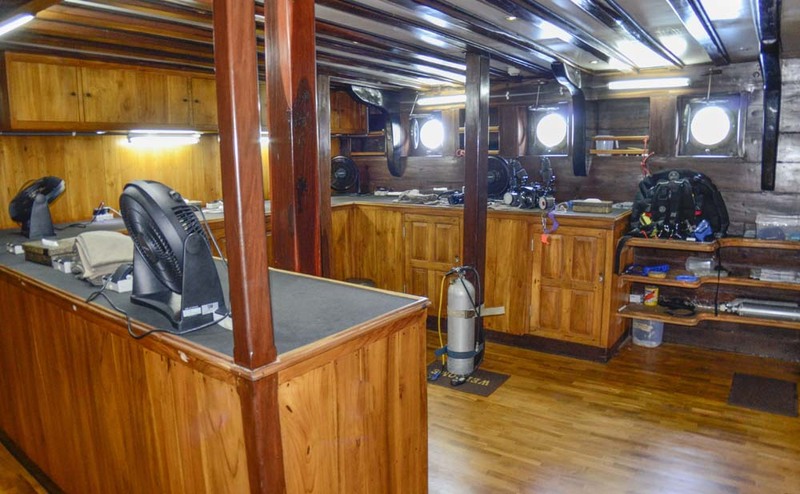 There is a very large dive platform on the lower deck, towards the back of the boat, enabling easy access to the tender dinghies. 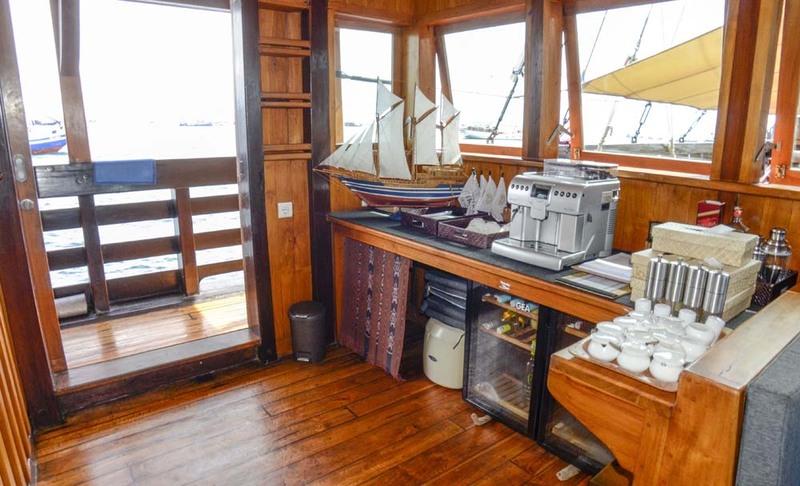 Here guests’ equipment is set up at the start of the cruise and from then on they have their own cubby hole for their gear. There are rinse tanks, storage areas and freshwater showers. Nitrox is available to certified divers, and there are two Poseidon rebreathers available for hire, plus supplies. The diving on MSV Amira is done from the four motorized tenders (zodiac & dinghies). 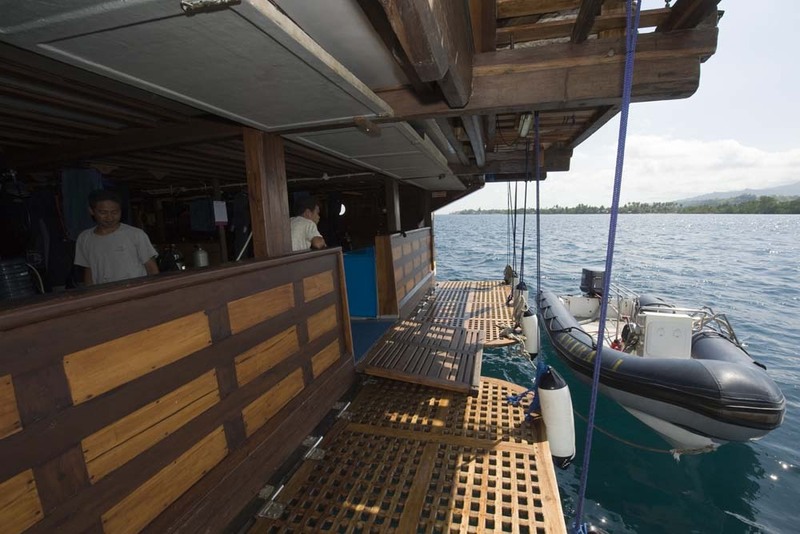 Guests climb aboard and the diving equipment is handled by the crew. Safety of all on board is of absolute importance on every MSV Amira diving cruise in Indonesia. Proof of this can be seen in the emergency oxygen on all tender dinghies, and the use of ENOS for all divers. ENOS is an electronic safety beacon which all Amira guests are supplied with free of charge. In the unlikely event of the crew being unable to locate any divers (staff or guests) the ENOS system transmits their exact location in seconds. 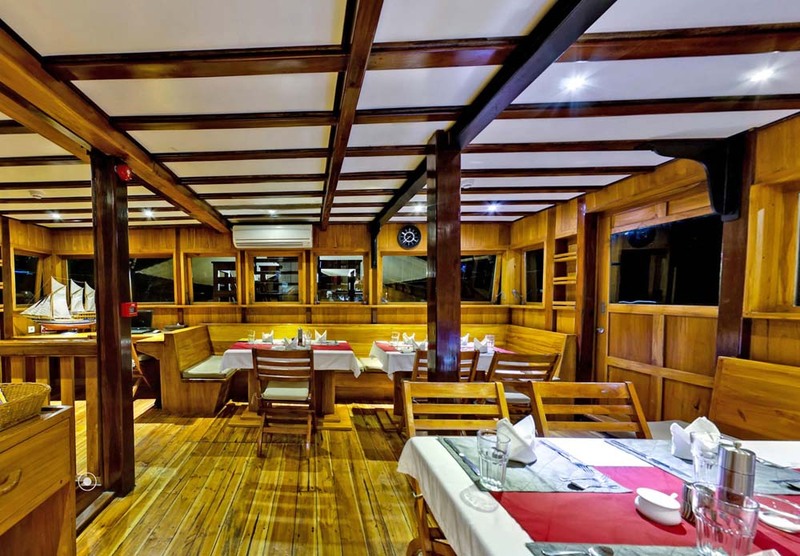 In addition, all staff and crew are trained and certified in all the necessary safety procedures, and the boat’s facilities are comprehensive, modern & regularly checked, serviced & replaced. 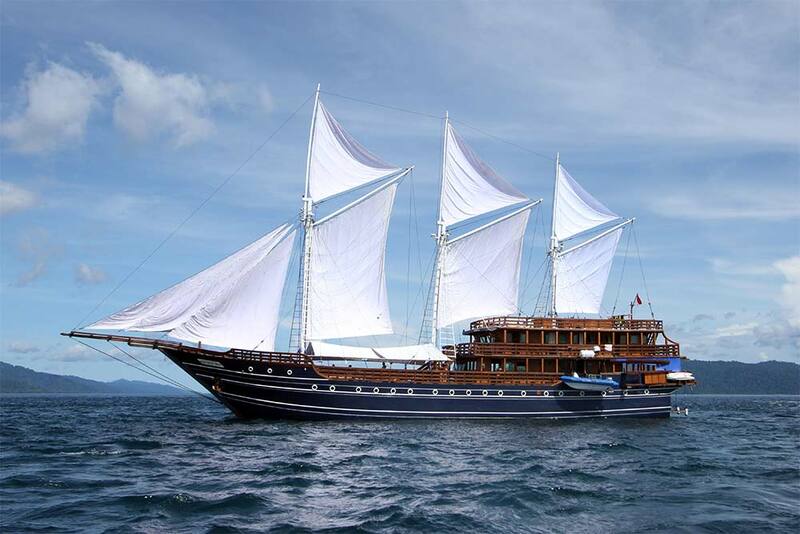 Amira sails to multiple areas around Indonesia to always be at the best place at each time of year. Due to such a wide range of trip itineraries, we have chosen to only publish itineraries for the most common trips. We have all of the trip itineraries stored in our database and we are happy to forward these on to interested guests. Please just contact us. 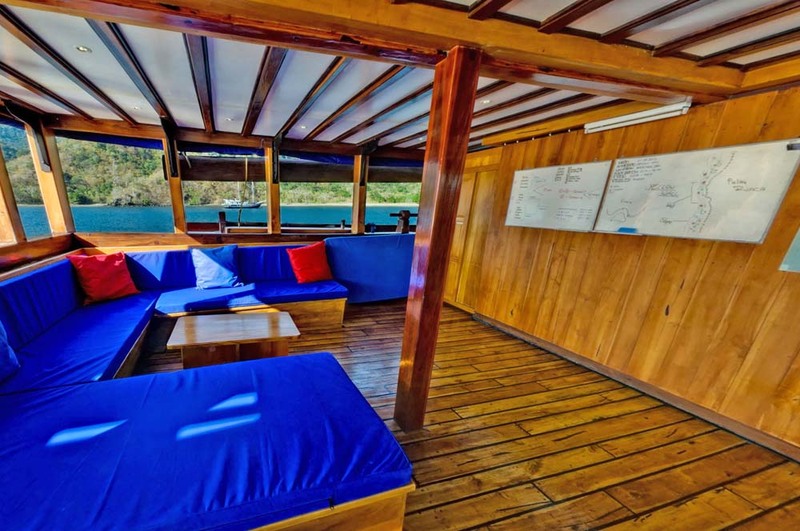 Amira has a Nitrox blending system on board, and guests take part in repeated deep dives every day, the PADI Nitrox (EANx) diving course is a very popular option. 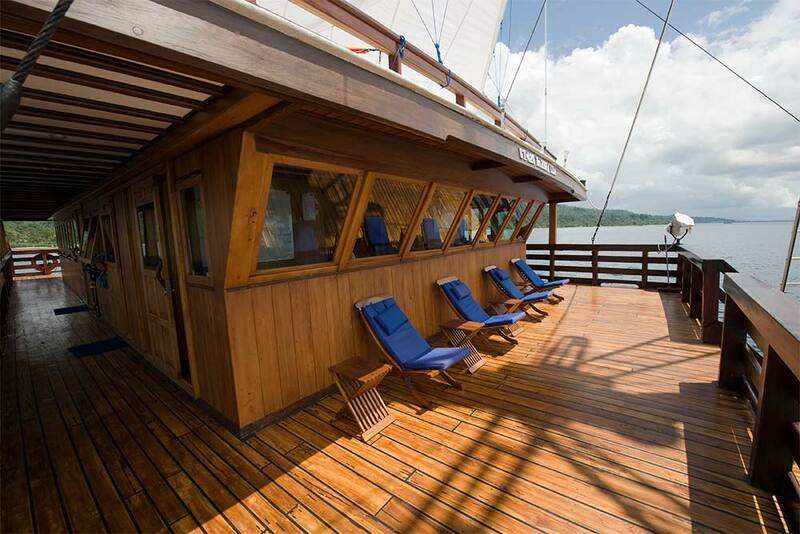 For just $165US guests can become certified on board and enjoy diving on Nitrox from Amira. 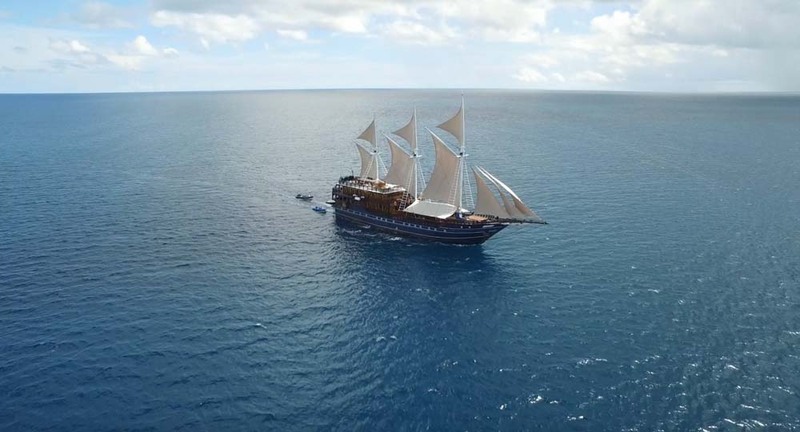 MSV Amira guests can enjoy free transfers at the beginning and end of each cruise. The transfers are from/to local hotels & resorts and the nearest airport. Before booking your domestic flights, please contact us. 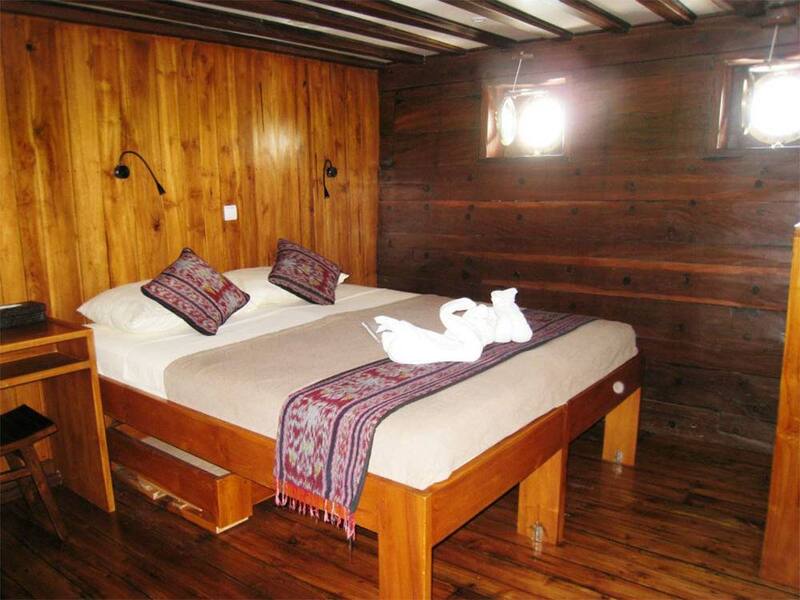 Not only can we recommend the best options, our team are also happy to make bookings on guests’ behalfs. 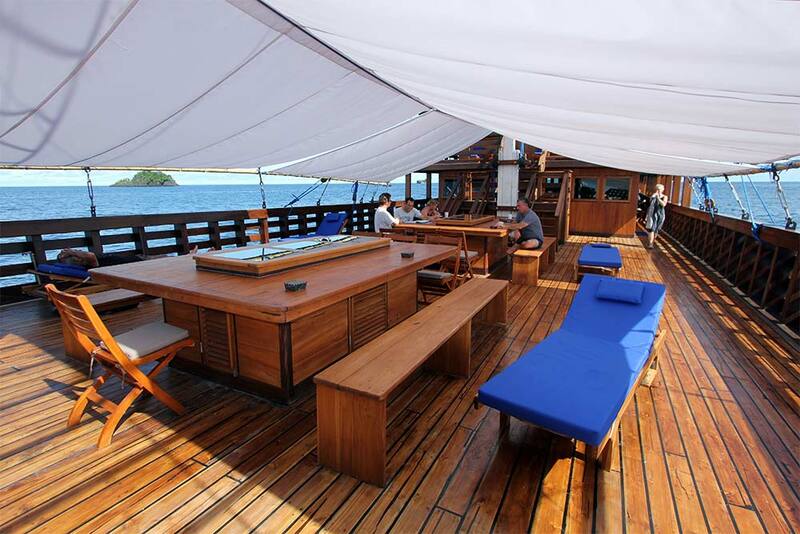 Prices are 'per diver,' and non-diving guests receive a 10% discount on the published trip rates. All dives led by experienced and qualified Divemaster guides, 12-litre air tanks, weights & weightbelts, full-board accommodation, including all meals, snacks, fruits, and certain beverages, scheduled land/island excursions, use of ENOS diver locator devices for all dives, transfers from/to local hotels and/or the nearest airport. Fuel surcharges, park fees & most extras need to be paid in advance of the trip. This is due to new Indonesian regulations stipulating pricing in local currency making cash payments unrealistic & inconvenient.